Marshmallow goodness... Starting with Android 6.0, there's a new system for requesting permissions from users at runtime. This is good for users (which we are) but a pain for developers (which we also are). Anyhoo, with PocketWGU 2.0.32, we've tried to update the app to respect the new permissions system. 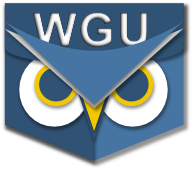 If there are any WGU students already using Android 6 (or "M" preview) out there, please give it a try and let us know if it works for you. The app should function without change on any previous version of Android.